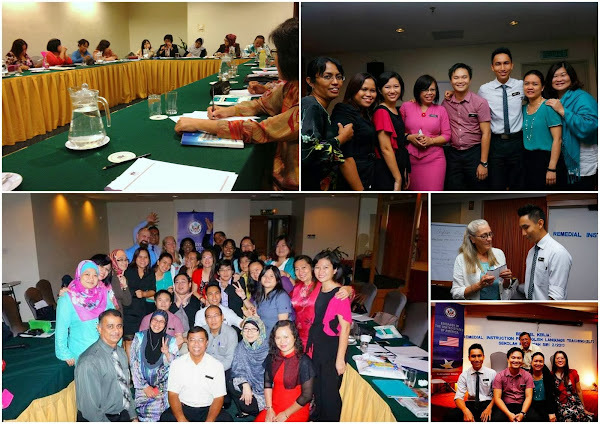 The workshop was held at Harbour View Hotel, Kuching. I remember, not too long ago, I said that when an individual stands up for a cause that is bigger than he/she is, good things start to happen, people want to help, resources find their way & all with little perceived effort. This was one such occurrence. By the stoke of luck (or was it? ), I was called up at the last minute to attend Phase 1 of the Remedial Instruction Workshop during the Gawai Holidays. I happened to be in Kuching at that time & I happened to have no plans (which, come to think of it, is really rare). And other teachers who were more senior or 'deserving' happened to have plans & could not attend the week long course. 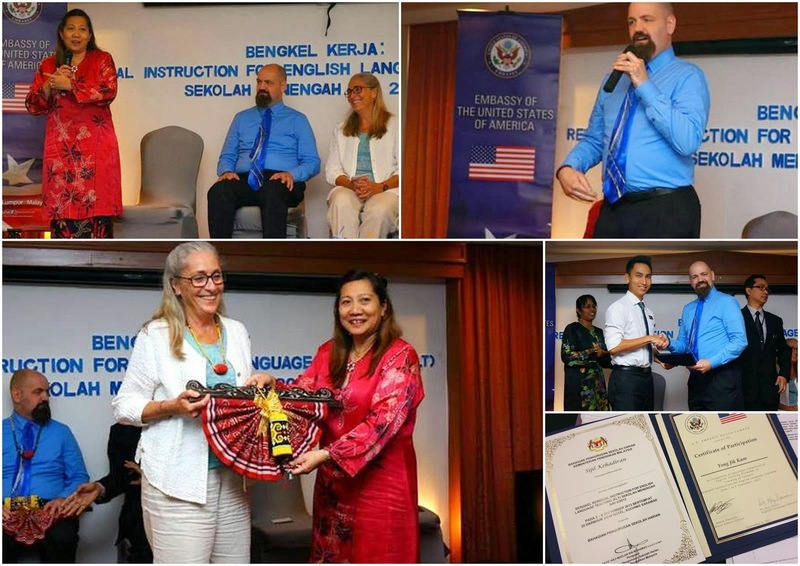 Besides being trained by a credible & knowledgeable specialist from the US, meeting some of the best & supportive teachers in our country was perhaps the most valuable take-away from the course. It was a great opportunity for me because teachers from obscure or out of reach schools rarely get called up for courses. Needless to say, we rarely hear a whisper about top-tier courses like these. It's like we do not exist. Either that or the person from Song/Kapit who went to such courses did not do his/her part in sharing/passing on the knowledge. They might have been plain selfish or probably too swamped to find time to train other teachers. Dr Kay Davis trained us for 2 weeks in total this year. Just listening to her stories & her experiences teaching around the world was an invaluable motivation to me. If she could work in remote areas in the world & still find effective ways to teach, I can too. Well, this course was divine because it led to a lot of amazing collaborations this year. The best of which was the banding together of a group of driven English teachers from Sarawak. We have a private Facebook Group, FB Group Chat & a Whatsapp Group. We keep our group private because we share a lot of personal struggles & feelings. It's a safe place for us to air our feelings away from judging eyes. We support each other & back each other up. That is what most teachers need yet do not get from their colleagues or from their administration. Also, this course has led to a visit to my school by Dr Kay & Dr Dawn. They made a journey to my school mid last month & became the first Orang Putih to visit my school. A momentous occasion in my school history (maybe even Kapit history). They spoke to the students & even had a special session with the staff. The students were so encouraged & felt really motivated to speak English; Shifting many negative mindsets & possibly bringing about positive change in their attitudes & motivation to learn the language. I am so proud to have played a part in making it happen. Also, let's not forget the amazing activities & insights I gained from the 2 courses. God's plan is indeed perfect. Check out the pictures on my FB Page.